Stacy Pershall grew up depressed and too smart for her own good, a deeply strange girl in Prairie Grove, Arkansas (population 1,000), where the prevailing wisdom was that Jesus healed all. 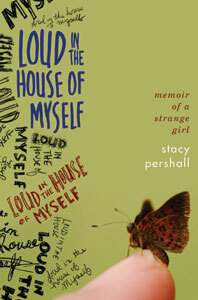 From her days as a thirteen-year-old Jesus freak, through a battle with anorexia and bulimia, her first manic episode at eighteen, and the eventual diagnosis of bipolar disorder and borderline personality disorder, this spirited and at times mordantly funny memoir chronicles Pershall's journey through hell-several breakdowns and suicide attempts—and her struggle with the mental health care system. 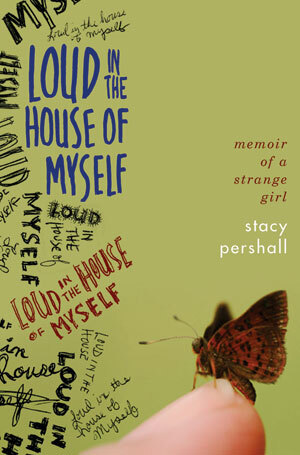 After her 2001 suicide attempt, broadcast live on a Webcam, Pershall realized the need to heal her mind and body. She found a revolutionary cure (Dialectical Behavioral Therapy) and a new mood-stabilizing medication. She also met a tattoo artist and discovered the healing power of body modification. By giving over her skin and enduring the physical pain, she learned about the true nature of trust.